“From The Gutter To The Boardroom." What's Good About Your Business and What's Knot. No that's knot a misspelling in the subtitle. There may be a knot in your business plan. Have you ever tried to untangle a knotted thin necklace. You are probably feeling the frustration as you read this. You may have trouble controlling your laughter as Michael's wit and wisdom keeps you on the edge of your seat begging for more, as he relives the lessons he learned in life and business that he shares with you. Although very humorous, he is extremely serious as he shares with you his amazing life's story from surviving a bizarre double assassination attempt on his life to the reinvention of himself. From being broke and almost bankrupt to becoming a millionaire in less than five years during the worst recession in America. He went from being a nobody to being named as the best company in America in his field. Do you find yourself trying to beat back the flames of failing without a fire hose? Learn how to re position yourself and capture more of your market by perceiving yourself to be different than your competitors. 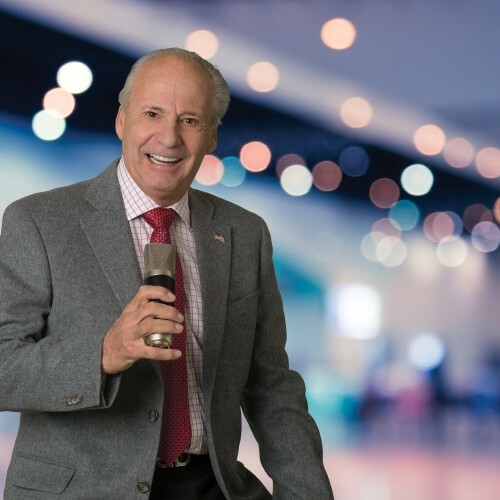 A straight forward, passionate, witty, shoot from the hip style together with over thirty-years of executive leadership and speaking experience makes Michael a much sought after motivational business speaker. It's not just talk, It's entertainment and enlightenment.